Unwritten By | Comparing the screenplay to the screen. Comparing the screenplay to the screen. Threatism (noun): creative manner of warning delivered by fictional characters. There’s a soft spot in my heart for The Long Kiss Goodnight. Maybe it’s because it combined two sub-genres I am a sucker for: spy chicks and amnesia. Or maybe because Geena Davis’ Charlene Baltimore could certainly take down Angelina Jolie’s Evelyn Salt in a fight. Or maybe because it had director Renny Harlin doing his very best John Woo impression. Certainly, Shane Black’s quirky script helped elevate the material above its genre conventions, as seen when Samuel L. Jackson’s grimy private detective delivers a cavalcade of threats to a man he is conning. It’s funny in its profane creativity, and made all the better with Sam Jackson letting it fly. I’m not quite sure why his character is “Young Man” in dialogue, but you can watch the exchange on YouTube to see what Sam Jackson does with it. You can read the full script at IMSDb. I really dig the opening. I love how Ray’s introductory monologue belies the stark gothic images it plays over, how it begins as a dark confession and ends as a quasi-joke. 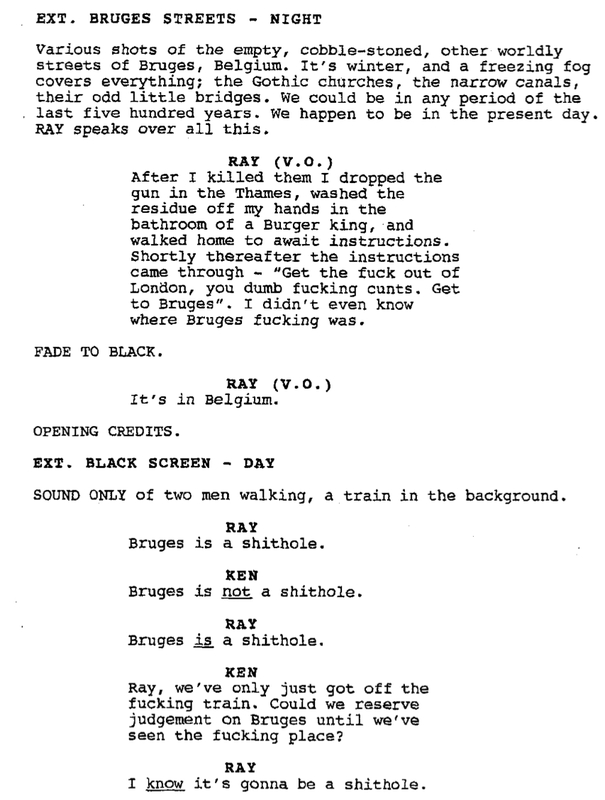 I remember laughing because, honestly, I didn’t even know where Bruges was either. It’s a good tone-setter for a black comedy that effortlessly mixes pathos and wit. And lots and lots of profanity. Even ancient Rome had “Win one for the Gipper” pre-game speeches. At least, Roman Emperor Marcus Aurelius did in the first draft of the Gladiator screenplay by David Franzoni. The final film’s screenplay is credited to Franzoni and John Logan and William Nicholson, with story credit to Franzoni. It opened with Russell Crowe’s Maximus (Narcissus in the original version), and I always thought it was a particularly nice touch for a period epic to open on its hero. By contrast, the original script’s opening pages brought in all the major players prior to the battle, and even introduced Commodus first (a scene that comes after the battle in the film). Narcissus/Maximus is practically just a face in the crowd in these pages. Yes, it’s still the same battle against a Germanic horde, but by giving Marcus Aurelius an extended monologue to rouse his soldiers, it painted a larger picture and underscored that this is as much a story of Rome as it is of one of its generals. In comparison to the film that was eventually produced, was it too much? Marcus Aurelius is, of course, the one who sparked the plot — his disdain for his own son precipitated his murder and kick-started Maximus’ journey into the gladiatorial arena. So, the question is: how much real estate should be devoted to a character who is essentially a plot point? 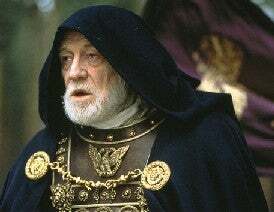 The film went with less for the emperor, and more for the star. For what its worth, it’s a nifty monologue. Matthew Modine and Vincent D'Onofrio in "Full Metal Jacket" © Warner Bros. This thought compliments William Goldman’s belief that movie heroes require mystery. A lot of writing comes down to taking a convention or trope and making it your own. One of my favorites in film is the multitude of ways in which a character conveys menace. So, the “threatisms” category of his blog is where I’ll chronicle some of cinema’s best threats. Note that these aren’t necessarily catch phrases, though some catch phrases are threats. They are simply a character warning of danger, be it from themselves or the world at large. And why not begin with one of the most quoted, from William Goldman’s master fencer in The Princess Bride. William Goldman is one of the great screenwriters. 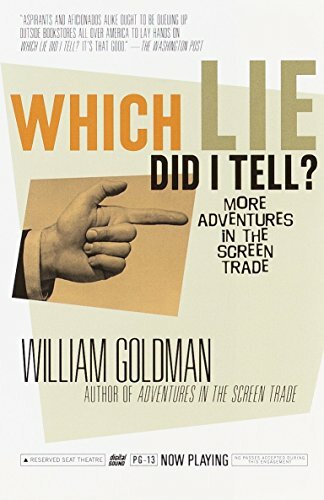 Not only did he pen Butch Cassidy & The Sundance Kid, Marathon Man, and The Princess Bride, he also writes very well about the art and craft of screenwriting, as seen in the introductory essays in his screenplay collections, and in his two behind-the-scenes tell-alls: Adventures in the Screen Trade and Which Lie Did I Tell? : More Adventures in the Screen Trade. I was re-reading the latter, and despite a few dated pop culture references, it’s still enormously entertaining and incredibly insightful. 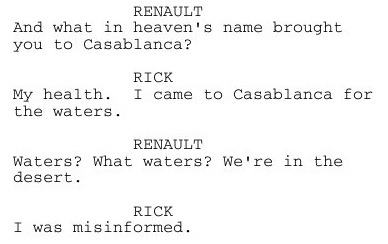 In the section about the writing (and possible reason for failure) of The Ghost & the Darkness, he uses this wonderfully witty exchange from Casablanca to illustrate the point that movie heroes must have one thing going for them: mystery. What it tells us is this: Don’t ask. What it tells us is this: Bad things happened, it’s dark down there, and I will die before I tell you. A lot of that comes from the dialogue, a lot from the speaker of the dialogue. If the Hansons are in Casablanca, you know it’s because they have a gig there. Or some high school girl they like is taking summer school. But Bogart–Bogart then–forty-four years old, with the gravel voice, the sad wrinkled face, that man understands pain. And no power on earth will make him talk about it, it’s that awful. I thought this was especially interesting considering that the audience does eventually find out via flashback what the deal is. But in the first act of the film, Rick is very much a mysterious, larger-than-life figure who even pokes fun at the rudimentary file the Germans have on him (“Are my eyes really blue?”). The flashback works as an answer to the mystique. Imagine if the film instead opened chronologically, with the Paris sequence serving as a kind of teaser… not as good, right? Most movies involving government agencies inevitably have scenes set in some sort of control room. And though the technology has evolved, the basic idea is the same: show flashing lights and flurries of activity. This type of scene is a distant cousin of the Walk-and-Talk since both share the objective of making exposition visually exciting. The simplest method I’ve seen of writing these scenes comes from The Bourne Ultimatum screenplay. The Bourne films are chock full of CIA technicians sitting in front of banks of screens. What do these technicians do? Well, their specialty is teching. “Frenzied teching” to be exact, as used in the Waterloo Station sequence where they are tracking a reporter, Ross, while Bourne tries to throw them off and get him out. All screenplays, film images, and/or video contained herein are copyright of entities who have lots of lawyers. These posts are commentary and criticism that utilize these texts, images, and videos according to the Fair Use doctrine, at least according to my extremely limited understanding of copyright and intellectual property law. Look, just e-mail me if you have issues.